A vortex is intuitively recognized as the rotational/swirling motion of fluids, but a rigorous and universally-accepted definition is still not available. Vorticity tube/filament has been regarded equivalent to a vortex since Helmholtz proposed the concepts of vorticity tube/filament in 1858 and the vorticity-based methods can be categorized as the first generation of vortex identification methods. During the last three decades, a lot of vortex identification methods, including Q, Δ, λ2 and λci criteria, have been proposed to overcome the problems associated with the vorticity-based methods. Most of these criteria are based on the Cauchy-Stokes decomposition and/or eigenvalues of the velocity gradient tensor and can be considered as the second generation of vortex identification methods. Starting from 2014, the Vortex and Turbulence Research Team at the University of Texas at Arlington (the UTA team) focus on the development of a new generation of vortex identification methods. 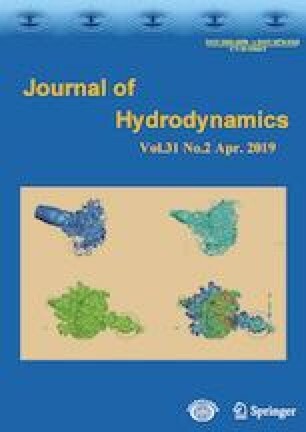 The first fruit of this effort, a new omega (Ω) vortex identification method, which defined a vortex as a connected region where the vorticity overtakes the deformation, was published in 2016. In 2017 and 2018, a Liutex (previously called Rortex) vector was proposed to provide a mathematical definition of the local rigid rotation part of the fluid motion, including both the local rotational axis and the rotational strength. Liutex/Rortex is a new physical quantity with scalar, vector and tensor forms exactly representing the local rigid rotation of fluids. Meanwhile, a decomposition of the vorticity to a rotational part namely Liutex/Rortex and an anti-symmetric shear part (RS decomposition) was introduced in 2018, and a universal decomposition of the velocity gradient tensor to a rotation part (R) and a non-rotation part (NR) was also given in 2018 as a counterpart of the traditional Cauchy-Stokes decomposition. Later in early 2019, a Liutex/Rortex based Omega method called Omega-Liutex, which combines the respective advantages of both Liutex/Rortex and Omega methods, was developed. And a latest objective Omega method, which is still under development, is also briefly introduced. These advances are classified as the third generation of vortex identification methods in the current paper. To elaborate the advantages of the third-generation methods, six core issues for vortex definition and identification have been raised, including: (1) the absolute strength, (2) the relative strength, (3) the rotational axis, (4) the vortex core center location, (5) the vortex core size, (6) the vortex boundary. The new third generation of vortex identification methods can provide reasonable answers to these questions, while other vortex identification methods fail to answer all questions except for the approximation of vortex boundaries. The purpose of the current paper is to summarize the main ideas and methods of the third generation of vortex identification methods rather than to conduct a comprehensive review on the historical development of vortex identification methods. The authors acknowledge that the UTA team leader Dr. Chaoqun Liu was supported by UTA Mathematics Department since 2000 and US AFOSR and NASA grants for long time since 1990 and the members were supported by US MURI/AFOSR grant and Chinese Scholarship Council (CSC). The authors are grateful to Texas Advanced Computation Center (TACC) for providing computing resources. The DNS code called DNSUTA was released by Dr. Chaoqun Liu in 2009. The authors also appreciate the very beneficial discussions with Profs. Lian-di Zhou and Jie-min Zhan. In addition, there were three conferences on new vortex identification methods with hundreds of participants who gave many constructive suggestions and useful feedbacks on our new methods. The first one was held in Shanghai on December 15–17, 2017, organized by Prof. Xiao-shu Cai, the second one was held in Hangzhou on June 22–27, 2018, organized by Prof. Li-hua Chen and the third one was held in Beijing on December 21–24, 2018, organized by Dr. Yu-ning Zhang. Liu J., Gao Y., Wang Y, et al. Objective omega vortex identification method [EB/OL]. https://doi.org/www.researchgate.net/publication/330370638_Objective_omega_vortex_identification_method.